FSL Varsity Track Championships will take place during the week of May 7. Official date/time TBD. Friends' Central School did it again in the pool at the Friends Schools League Championships held at George School on Saturday, February 9. 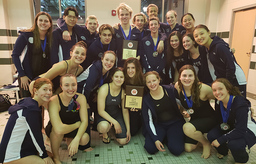 In front of a packed crowd, the Phoenix boys defended their league title successfully for the 16th consecutive season, and the girls took home another victory after placing one or more swimmers in the top 6 in 21 out of 22 events. Where can you find animals like the “zeal,” the “frosttooth tiger,” the “white tiger slizard,” and the “butterchimp?” The Third Grade Zoo! 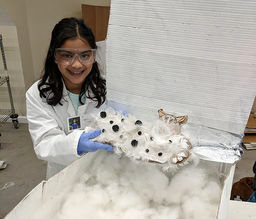 On Wednesday, February 27, third graders took over the Light Lab, transforming each of its four studios into an Antarctic wonderland. 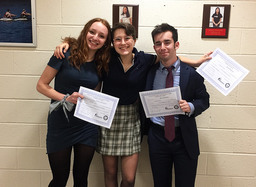 Out of a field of 15 teams - including 10 public schools - Friends' Central's stellar debate team of juniors Jade Halpern, Ryan Jokelson, and Lindsey Schweitzer, won the PHSSL District 10 Parliamentary Debate Tournament on February 13, 2019. They are now heading to the State tournament, which takes place the weekend of March 15 at Bloomsburg University. 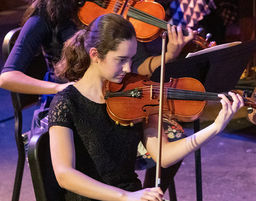 In fall and early winter 2018, Friends' Central's campuses were abuzz with activity, including award-winning moments for our students, important sustainability achievements, athletic and academic successes, outstanding theater productions, orchestral and choral performances celebrating the holiday season, and inspiring guest speakers. 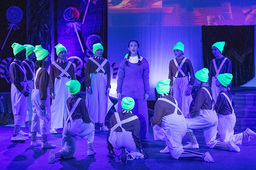 Here are some highlights! 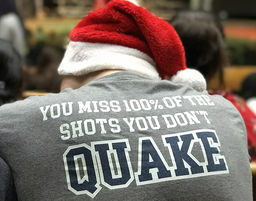 Friends’ Central’s winter sports season, featuring boys’ and girls’ basketball, indoor track, swimming, squash, and wrestling, has officially kicked off. Here is an outlook at the 2018-2019 winter sports season at FCS. 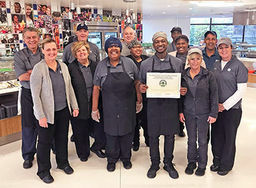 Written by Miles Johnson '19. 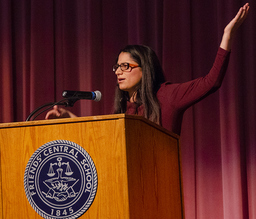 On Tuesday, October 30, Friends' Central hosted pediatrician, professor, and noted public health advocate Dr. Mona Hanna-Attisha, whose research exposed the Flint water crisis, as the inaugural Distinguished Justice Leader. 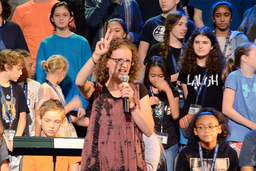 Author of What the Eyes Don't See: A Story of Crisis, Resistance, and Hope in an American City, Dr. Mona met with groups of students during the day and spoke to a sold-out crowd in the evening.